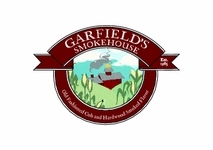 Garfield's Smokehouse of Meriden, New Hampshire is a family-owned and operated business established in 1985 by Bobbie and Don Garfield. 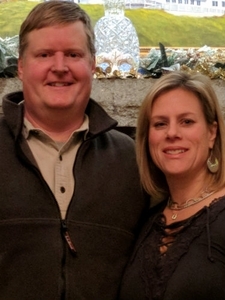 Liz and Bill Taylor are new owners of the business. Our goal is to produce the highest quality smoked products with an old-fashioned flavor, and to offer these products to our customers at a reasonable price. Our smokehouse meets Federal and State specifications, and all our operations are conducted under USDA, FDA, and State of New Hampshire inspection procedures. In addition to our smoked products, we offer Taylor Brothers! maple syrup, produced by Liz's husband, Bill, and his brothers Jim and Rob. There’s something about the rich aroma of our NH hardwood and cob smoked meats and cheese that draws people to the kitchen faster than most anything else. All of our cob and hardwood smoked meats are carefully selected and hand-trimmed by our butchers, then the meats are smoked to create a hearty, bold flavor. We smoke our cheese with hardwood and corn cob smoke at low temperatures for at least 24 hours, until the desired flavor is reached. As a featured ingredient in a savory dish or crisply seared on its own, our products are some of the best you’ll ever try. Click on Favorite Recipes and view or print our recipes and cooking instructions. Copyright © 2011 Garfields Smokehouse All Rights Reserved.